Facebook Ads allow users to direct targeted advertising towards different demographics and customer groups across Facebook’s billions of users. This Block will help you establish the foundations of your analysis, which you can then augment with additional objects based on your customized schema. 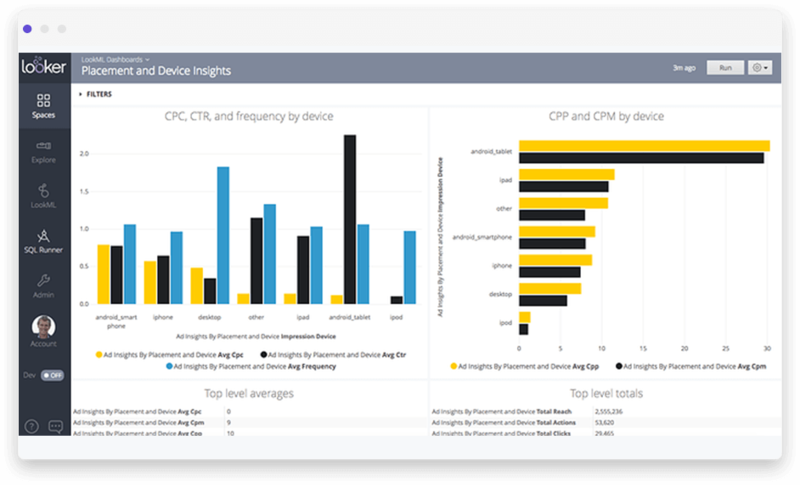 Evaluate campaign performance by age, gender, placement, and device. 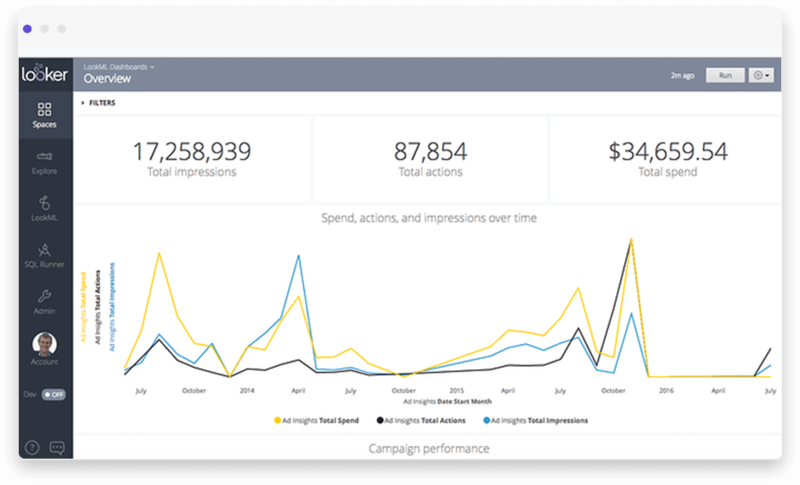 This block includes three dashboards which provide granular analysis on ad performance metrics. 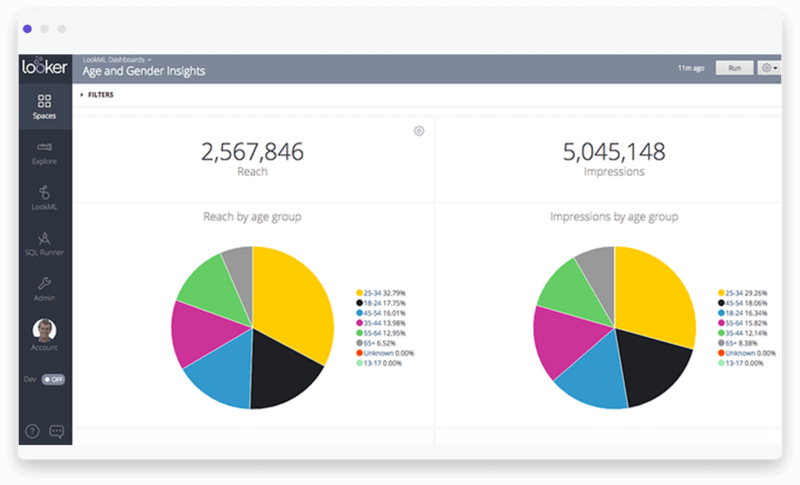 Each dashboard and insights they uncover are described below.